The new SSD series will be available in multiple form factors designed for small tablets all the way up to dedicated servers. Toshiba Electronics Europe (TEE) has announced three new solid-state drives with PCIe interfaces. The models are notable for their use of the NVMe protocol regardless of the application from consumer tablets up to professional servers. For notebooks, the Toshiba XG3 SSD will be available in both 2.5-inch and M.2 2280 form factors and have compatibility with up to 4 PCIe 3.1 lanes for faster transfer rates. Capacities will be offered up to 1 TB. Meanwhile, the BG1 SSD will come in even smaller M.2 1620 (16 x 20 mm) and M.2 2230 form factors fit for tablets and super-thin applications. Capacities for these units will be offered up to 256 GB. Unfortunately, Toshiba has not offered technical data for the XG3 and BG1 families. Lastly, the PX04P series is for enterprise-level applications. Models come in 800 GB, 1.6 TB, and 3.2 TB capacities with a maximum power consumption of just 18 Watts under full load. 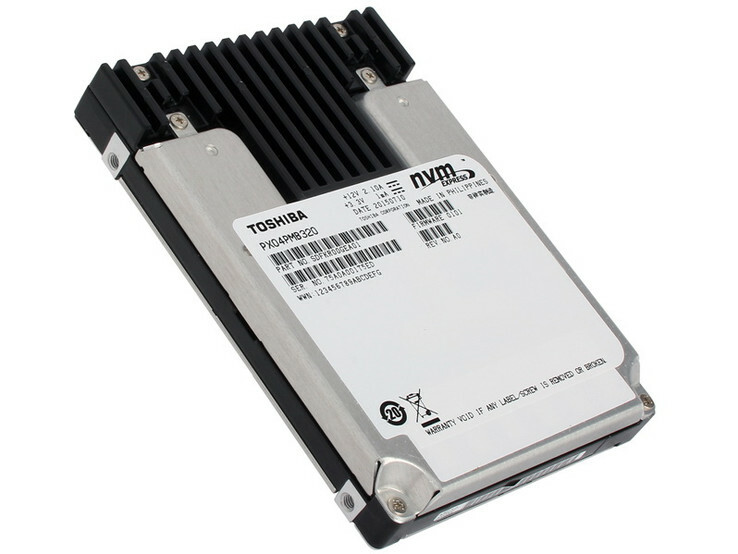 Toshiba credits much of the power savings to the NVMe specification. The PX04P family also supports up to 4 PCIe lanes and are available in half-height, half-length (HHHL) and 2.5-inch form factors with the U.2 connector (SFF-8639). 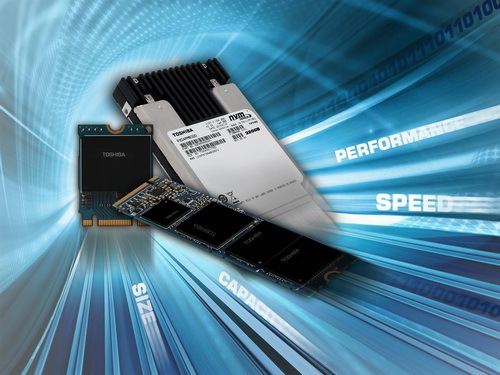 Toshiba claims sequential read and write rates of up to 3100 MB/s and 2350 MB/s, respectively. Random read and write IOPS are rated at 600K and 185K, respectively.